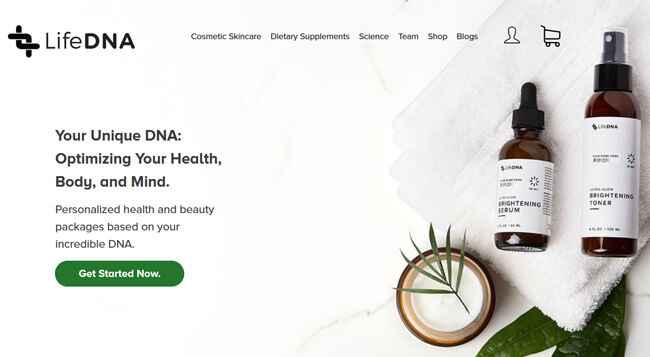 LifeDNA is a Hawaiian startup company launched in 2017 with the idea of exploring and exploiting the link between natural skincare and dietary supplementation on one side and individual genetic profiling on the other. The company enables its customers to live healthier, longer, and more fulfilling lives by deciphering their unique genetic codes and determining how they correlate to skincare and supplementation. The first step toward a healthier lifestyle should be exploring your genetic response to certain influences and choosing the best option to complement your DNA. If you feel you’re ready for the first step, keep reading our LifeDNA review to learn how to turn your genetics into a valuable asset instead of a roadblock. LifeDNA is a very young company that just developed the capacity to sequence your DNA. Until recently, it used only raw data generated by other renowned companies, namely AncestryDNA and 23andMe. In other words, LifeDNA didn’t offer any testing solutions, so in order to receive its skincare and dietary recommendations, you had to order one of the aforementioned tests and submit your raw DNA data for examination. We still recommend this method, though, since we simply don’t know that much about the newly introduced LifeDNA testing solution. Whatever route you choose, the key to any successful exploration of your genetic signature lies in your SNPs (single nucleotide polymorphisms), which are simply unique genetic markers that tell the company what’s special about you. These markers or genetic mutations can show the scientists anything from genetic predispositions to coffee drinking to the exact nutrients that’ll complement your genetic deficiencies. Your SNPs can also indicate potential risks for certain genetic illnesses. Your DNA can’t exactly predict the future actions of your body, but it can provide an excellent roadmap for optimal skincare products and supplements. The team behind LifeDNA will combine your unique DNA signature with their passion for research and recommend certain ingredients with a proven track record in mitigating health risks or improving certain genetic deficiencies. 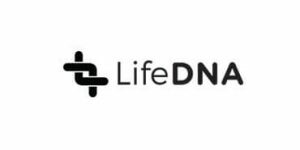 LifeDNA has based its service on more than 1,100 peer-reviewed articles in its database, which is constantly growing as the research continues. The company has incorporated a global approach to scientific research, which means it covers all individuals regardless of their background and ethnic groups. In order to create your personal account on the official website, you’ll be prompted to provide your first and last name, email and password, your payment details, and shipping address. Once your account is ready, you can submit your raw genetic data received by AncestryDNA or 23andMe and simply wait for your results. Alternatively, you can order a 3 or 5-pack of any product and receive the company’s DNA test for free. LifeDNA also features a dedicated shopping section where you can buy skincare products and supplements recommended for your genetic profile. LifeDNA is a very young company but with a very interesting business model. It complements the findings of AncestryDNA and 23andMe nicely and gives them a whole new practical dimension. 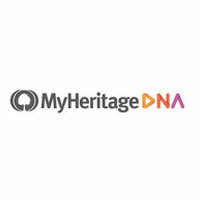 As we already mentioned in the previous sections of our LifeDNA review, the company didn’t feature any proprietary DNA testing solutions until recently. Instead, it used raw DNA data generated by AncestryDNA and 23andMe. If you take this route, after your final report has been generated, you’ll be referred to a dedicated shopping page, which holds the company’s unique line of skincare products and supplements designed to provide your body with optimal nutrition according to your genetics. On the other hand, if you decide to take the LifeDNA test, you’ll go through the usual motion when it comes to direct-to-customer DNA testing. Your DNA kit will take 3-5 days to arrive at your address, after which you’ll be able to collect your DNA sample and return it to the lab for testing. The results are usually available within 2 weeks. Once your final report is generated, your LifeDNA box will ship immediately. LifeDNA test is not something we can recommend because we simply don’t know enough about it. The company has probably outsourced the sequencing part since we don’t believe it has the capacity or the facilities to perform it itself. Furthermore, the official website states the company analyzes “thousands of markers” in your DNA and we don’t like dealing with vague statements such as this one. As for the products offered by LifeDNA, they are all manufactured in the US in an FDA-registered facility and in accordance with CGMP regulations. The company doesn’t test on animals or ask other companies to perform these tests. Personalized moisturizer; 100ml (3-month supply for 99.00$) – Designed for deep and rejuvenating hydration, this moisturizer will refresh your skin with its premium ingredients designed to fit your lifestyle and DNA. Essential Beauty Box (3-month supply for 199.00$) – This package contains a cleanser, toner, and moisturizer, which are essential products for everyone’s personalized skincare routine. Deluxe Beauty Box (3-month supply for 289.00$) – This option is basically an Essential Beauty Box plus a serum and mask designed to complement your DNA. LifeDNA collects the information you provide, including your genetic information, name, email, shipping and billing address, additional health information, communication with the support team, and payments, as well as information collected when you use the service, including device and usage information (web browser type, IP address, mobile operating system version, and unique device identifiers), browser settings and preferences, data about your interaction with the service, and data collected from cookies and similar technologies. The company will use your information to provide its services and communicate with you, but also for marketing purposes and to comply with its own obligations and applicable laws. LifeDNA can share your data with its vendors, service providers, and other parties performing services on its behalf. It can also use it for research and analytics and share it with ad network providers. LifeDNA maintains a set of administrative, technical, and physical safeguards in order to protect your data from unauthorized processing. The service is also unavailable to individuals under the age of 18. LifeDNA ships its packages via FedEx Smart Post and the estimated delivery time is between 7 and 10 business days. Standard shipping is absolutely free. Once you register, you can choose to receive your packages on a quarterly or monthly basis. Canadian and international orders are shipped via DHL Parcel Direct. LifeDNA has designed its service around a very specific part of genetic exploration. Skincare and supplementation are usually accompanied by genetic testing to discover potential mutations that increase the overall risk for certain inherited diseases and conditions. This is why we don’t think the company will stop here and we’re really excited to see what they’ll do with this project in the future. As it stands, the service is quite limited and somewhat inconvenient. Yes, it does accept raw DNA data from two industry giants at the moment, but we still have a feeling that you have to jump through a lot of hoops in order to get to your final LifeDNA report. Its line of products, though, is nothing short of impressive. Everything is made right here in the US following the procedures prescribed by all the relevant institutions and taking only the purest ingredients available. LifeDNA is still very young and it’s very difficult to tell where it will go from here. What we see today, however, is a team dedicated to their work and a company offering pretty decent services, adding a whole new dimension to the final reports currently available at AncestryDNA and 23andMe. So, there’s definitely a lot of room for improvement, but we would definitely recommend giving LifeDNA a chance even in its current state. Our ratings are the result of an objective and independent evaluation of LifeDNA , generating the final rating that reflects the overall quality of the company. Ratings may change as the service changes. LifeDNA user rating based on 3 user reviews. The user support wasn't exactly forthcoming but everything else was perfect. Great way to learn more about my genetics after I've tested with 23andMe. I've been with Life DNA from the start and I'm not going anywhere. We found 0 verified LifeDNA discounts for April, 2019.